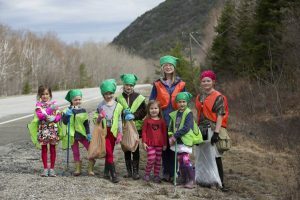 , please contact Friends of Acadia Stewardship Coordinator Dana Petersen at dana@friendsofacadia.org or 207-288-3340.For groups larger than 10, please contact Friends of Acadia Stewardship Coordinator Dana Petersen at dana@friendsofacadia.org or 207-288-3340. 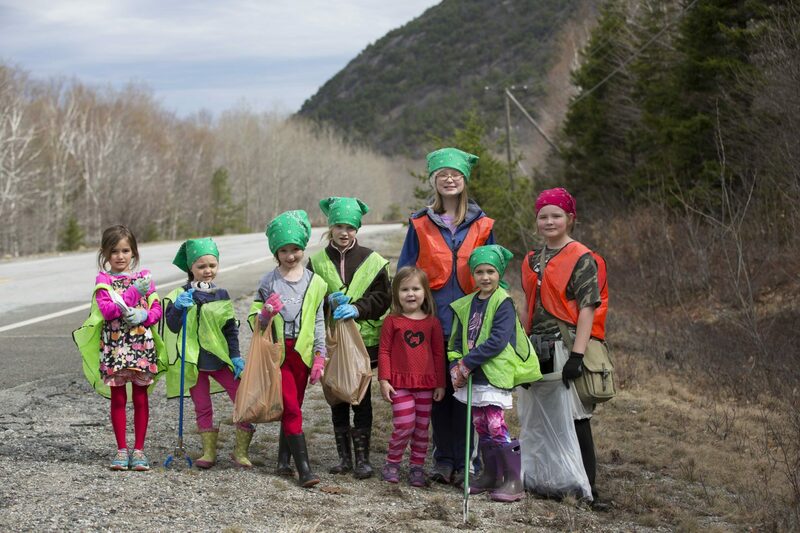 You can celebrate Earth Day—all year long—by keeping our roadsides trash-free. Please dispose of your garbage appropriately. Recycle and compost whatever you can, and place the remainder in trash cans or dumpsters. Or, you can walk out the front door of your home or business towards the next street or even the next driveway—trash bag in tow—and hold your own pick-up. We all have the power to make a difference in our communities.